CEO Sundar Pichai took to Twitter this week to announce that Google I/O, the company’s annual developer conference, will be taking place in Mountain View on May 18-20. The only thing we know for certain is that we’ll get our first look at Android N, the mobile operating system’s next big update. Sure, part of the fun of I/O is hearing about all those far flung ideas, but before we get into autonomous cars, drone delivery, and other moonshots, here’s a modest, here-and-now wishlist for Android in 2016. When Google announced Now on tap, it felt like the future of Android because it had the potential to change the way we interact with our smartphones. Long press any word and a personal assistant was ready to serve up every piece of information you could possibly need. So far the feature hasn’t delivered. For most queries, Now on tap simply performs a Google Search. Convenient? Sure. Transformative smartphone experience? Not really. But almost every single Android feature gets better and better with every new software release. I’m hoping for the same with Now on tap. With an all-metal casing and a weird-but-great magnetic keyboard, the Pixel C was designed like a winner. Sadly, Android couldn’t keep up with the tablet’s “get things done” ambitions. Android’s been known to adopt features from its more antsy hardware partners—like Samsung. Last year it was native support for fingerprint sensors, and this year I’m praying for just a little bit more focus on productivity, whether that’s split-screen support on tablets, which the Pixel team says is coming, or even better, support for many arrangeable windows. A new report says that in less than a year, Apple gobbled up 50 percent of the smartwatch market, while Android Wear hovered at about 10 percent. With the great variety of Android smartwatches available in various sizes, colors, finishes, and price points, it seems clear that the hardware isn’t the main issue here. The problem is the software. That’s not to say Android Wear is terrible—it’s not. It does simple notifications well in a relatively clean way. Still, while it’s simple to operate, the bare-bones approach undermines some of the potentially awesome things a smartwatch could do. Is a smartwatch really just a screen for notifications with a rudimentary fitness tracker tacked on? In part, another problem is that Android Wear’s relationship to hardware is needlessly one-dimensional. Where the Apple Watch has the digital crown and Samsung’s Gear S2 has a dope rotating bezel, Android Wear watches don’t have much going for them when it comes to inventive hardware. We need more than just a simple home button. Google messaging has always been underdeveloped—it’s not as graceful as iMessage (as long as you don’t try to move to Android) and not as useful as other clients like WhatsApp. According to the Wall Street Journal, Google agrees and wants to shape things up. A Phandroid report says Google might remove SMS/MMS functionality from Hangouts, while a WSJ says Google’s looking at building an all-new messenger with integrated chat bots that can carrier out search queries and other tasks when asked. Either way, it looks like Hangouts and messaging on Android will be getting some much needed attention. Google Cardboard is a great, cheap solution that’s helping expose VR to the masses—and it’s getting better all the time. But when it comes to more high-end VR—think Oculus—Google has been curiously quiet. 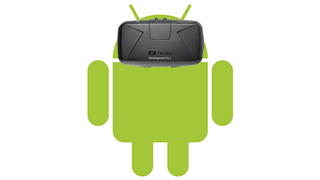 An almost year-old rumor suggests that Google was working on an Android operating system for virtual reality. However, 2015 came and went, and Google remained quiet on the matter. Now, looking at all the resources Google’s throwing at VR, including forming a dedicated division within the company to focus on the tech, Google could pull the sheet off an Android-based VR system in 2016. Please! However Google isn’t forsaking cheap VR completely. Quite the opposite, actually. Reports hint that Google’s been talking to chipmakers about making mobile processors that can handle the heavier workload required for VR applications. It’s not clear that any manufacturers have actually teamed up with Google, but with rumors circling on both the hardware and software side of the VR conversation, I’m holding out that Android has big VR plans for 2016. What other things do you hope come to Android—mobile or otherwise—in 2016? Let’s discuss.